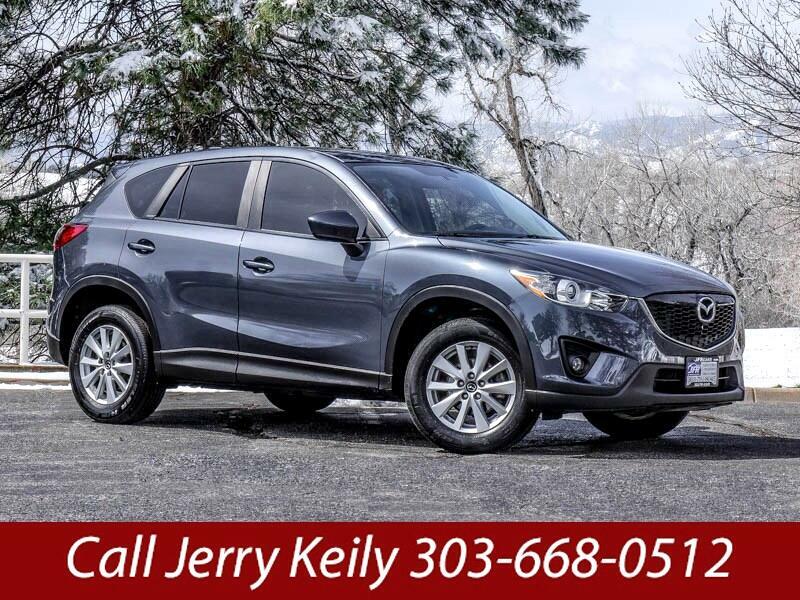 Used 2013 Mazda CX-5 Touring AWD for Sale in Littleton CO 80120 JFR & Associates, Inc. This SUV offers a fun and dynamic driving experience that makes it fun to drive. This CX-5 presents a quiet and comfy ride that you'll appreciate on your daily commutes. The cabin is functional and modern with easy to use controls that are at your fingertips. This Mazda CX-5 comes with a variety of options like automatic headlights, a backup camera, traction control, sunroof, rear spoiler, navigation, keyless entry, daytime running lights, Bluetooth integration, CD player, plus lots more to make your drive more enjoyable and fun. You are cordially invited to take this highly desirable Mazda CX-5 for a test drive and discover for yourself why this SUV is so popular. Contact us today and schedule a test drive. You'll be glad you did. Call Jerry Keily at 303-668-0512 if you have any questions or if you would like to schedule an appointment to see this vehicle.